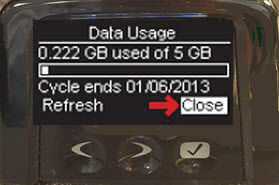 If you receive an error message or inaccurate info when trying to view data usage using these steps, update software. 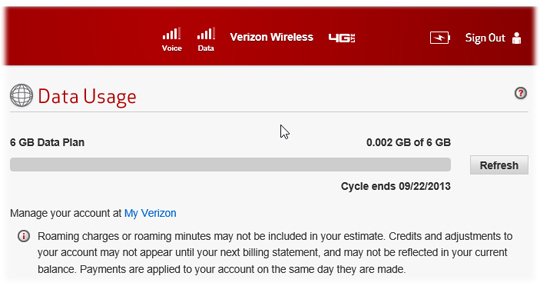 Alternatively, log into My Verizon for the most up-to-date data usage info. View this video for addtional info about Understanding Data Usage. Tap the select button on the home screen. 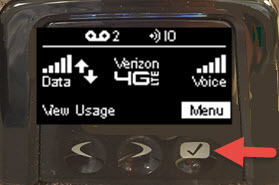 Using the left and right arrow buttons, scroll to the Data Usage icon then tap the select button to open and view the data usage. It may take a few seconds to retrieve the requested info. Once you have viewed the usage, tap the select button to close. 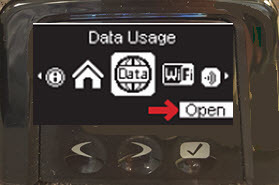 Access the router configuration console then click Data Usage (on the left). 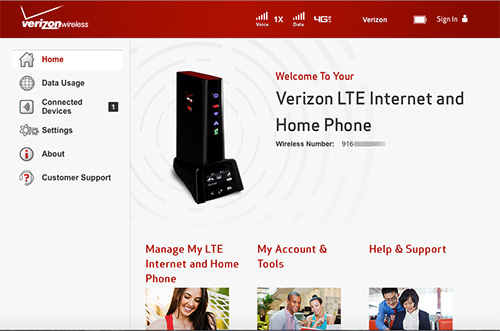 View Data Usage for the Verizon LTE Internet and Home Phone. Click Refresh to update usage amount.